Mr. Miguel Acuna Salas,85, entered into eternal rest on Sunday, January 20, 2019 surrounded by his family at the Mission Regional Hospital. 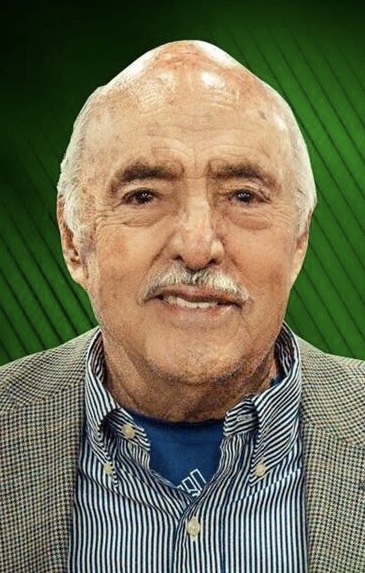 Miguel was born on July 10, 1933 in Mexico City, Mexico to Miguel and Rosa (Salas) de Acuna. He had lived in Mission for a number of years. MIguel is survived by is wife- Angelica Uresti de Acuna; four children- Lourdes Acuna, Cristina Acuna, Miguel Acuna, Monica Acuna; 2 brothers- Fernando Salas, Sergio Salas, Marcela Salas; 10 grandchildren. A gathering of family and friends will take place on Tuesday, January 22, 2019 at Rivera Funeral Home from 11:00 AM to 8:00 PM with a memorial service to begin at 6:00 PM with Fr Nacho officiating. Cremation will follow at a later time. Funeral arrangements are being handled by Rivera Funeral Home in McAllen.